Today is my day! 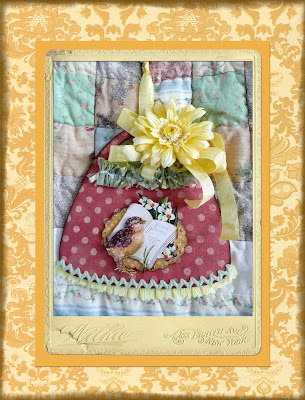 My day to post my Vintage-Inspired Basket Tutorial over on the Joli Paquet blog, that is. You can check it out by clicking here. This is absolutely beautiful, Jeanne! Your tutorial is super cute Jeanne! I love the bright spring colors! This is breathtaking, Jeanne. Absolutely LOVE IT! I loved your tutorial so much I made one last night watching t.v.. It was super easy just like you said. I posted a pic on the Joli Paquet flickr. Thanks so much! Joli Paquet Kit Sales Day!